Disses in rap songs are an essential aspect of hip hop culture, and slights at rival artists are hardly a new thing in pop and rock either. "How do you sleep?" John Lennon famously asked of Paul McCartney in his brutal track of the same name after The Beatles broke up, and, let's be honest, who doesn't enjoy trying to decode whether, say, Taylor was having a pop at Katy in Bad Blood, or indeed whether Katy was giving return fire in Swish Swish. ...or Ye, as Kanye now goes by. This disagreement, provoked by Kanye's appearance on Saturday Night Live recently, concerns a difference in political views, or, specifically, views on President Trump. As BBC News reported, Kanye had both worn a cap bearing Trump's slogan - Make America Great Again - and, after the cameras had stopped rolling, delivered "a rambling political speech to the audience" in which he expressed support for Trump and claimed, again, that he was going to run for president himself in 2020. Parts of the speech ended up on social media, then Kanye doubled-down on his views by posting a photo of himself wearing a MAGA cap on Twitter and Instagram, complete with the caption: "this represents good and America becoming whole again. We will no longer outsource to other countries. We build factories here in America and create jobs. We will provide jobs for all who are free from prisons as we abolish the 13th amendment. Message sent with love." 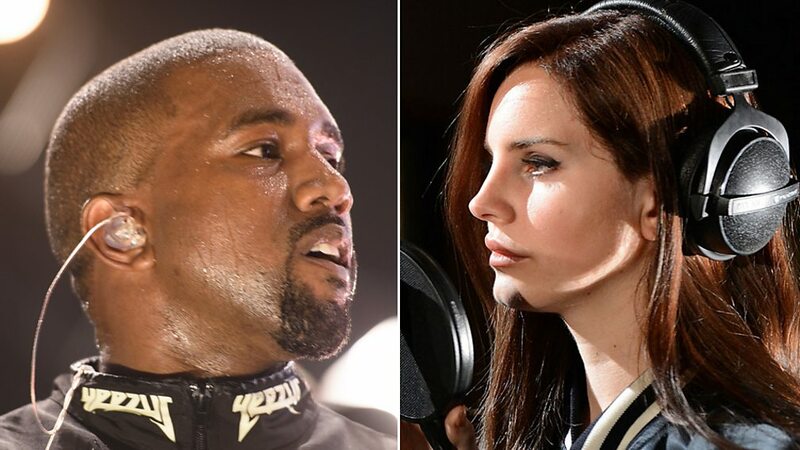 Lana Del Rey, who performed at Kanye's wedding to Kim Kardashian in 2014, responded, saying: "Trump becoming president was a loss for the country but your support for him is a loss for the culture. I can only assume you relate to his personality on some level. Delusions of grandeur, extreme issues with narcissism - none of which would be a talking point if we weren't speaking about the man leading our country." She added that she believed that Kanye needed "an intervention just as much as he does," and signed off with: "Message sent with concern that will never be addressed." Others, including the actor Chris Evans, picked up on Kanye's call to "abolish the 13th amendment", which suggested, as the Washington Post had it, that the rapper wanted to "abolish the abolition of slavery". He later clarified his view, saying he wished to amend, not abolish, the amendment. "The 13th Amendment is slavery in disguise," he said, "meaning it never ended... We are the solution that heals." 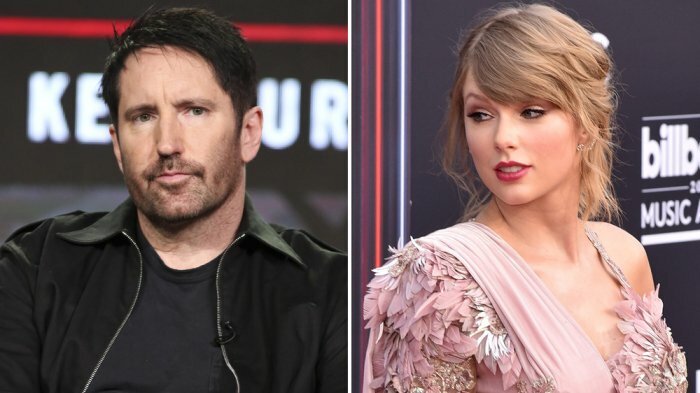 "I was doing press with somebody in the mid-90s," began Nine Inch Nails' Trent Reznor in a recent New York Times interview, "and they made an argument that stayed with me: that I have influence, and that it's my job to call out whatever needs to be called out, because there are people who feel the same way but need someone to articulate it." He added that, "You don't hear a lot from the Taylor Swifts of the world, and top-tier, needle-moving cultural youth, because they are concerned about their brand, their demographic and their success and career and whatnot." And it wasn't just Reznor who commented on the matter. Last November, the Guardian published an anonymous opinion piece under the headline "An envoy for Trump's values?" and said: "The world's biggest pop star is not simply a product of the age but seems a messenger for its disturbing spirit." Politico called the article "bizarre", played devil's advocate and asked a different question to a number of experts: "Why does anyone care what this 27-year-old music artist who was so devoted to her craft that her parents moved to Nashville when she was 14, this singer who never attended a day of college, thinks about the president of the United States?" For quite some time, then, Taylor found herself in the curious position of being criticised and analysed for doing the exact opposite of Kanye and keeping shtum about her political views. She had publicly expressed support for feminism and gay marriage, but it wasn't until very recently - 7 October - that she truly laid her political cards on the table and announced via a lengthy Instagram post that she will be voting for the Democrats in next month's mid-term elections in America. "In the past I've been reluctant to publicly voice my political opinions," she wrote, "but due to several events in my life and in the world in the past two years, I feel very differently about that now. I always have and always will cast my vote based on which candidate will protect and fight for the human rights I believe we all deserve in this country." "Joe Budden And 16 Other People Eminem Dissed On Kamikaze," ran a headline in Vibe magazine, after the rapper surprise-released his 10th album in August, and there's nothing new in Eminem, or any other MC, taking shots at rivals in the studio. Using a homophobic slur to diss Tyler, the Creator, however, caused a storm of controversy and even led BBC Newsbeat to ask, "Is it time for the 'greatest' to quit?" Although he didn't mention Eminem by name, Dan Reynolds of Imagine Dragonswrote on Twitter: "It's never okay to say a word that is filled with hate. I don't care what year you were born in or what meaning it has to you. If it contributes to hate and bigotry then it is hateful. Period." 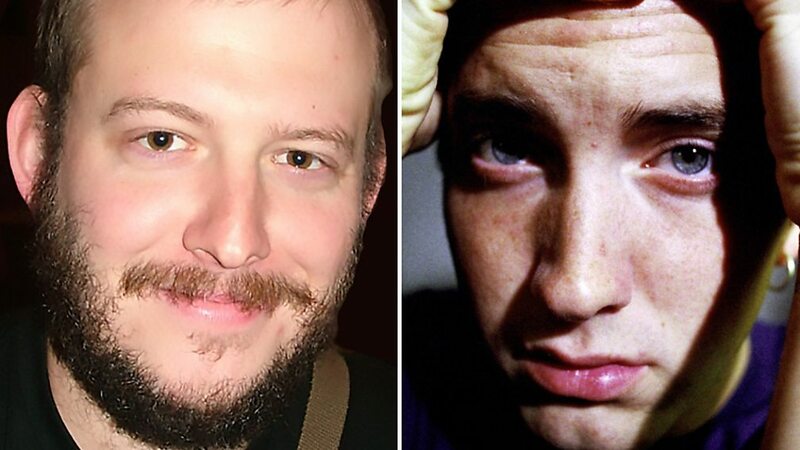 Justin Vernon of Bon Iver also took to Twitter to explain how he ended up on the track, Fall: "Was not in the studio for the Eminem track. Came from a session with BJ Burton and Mike Will. Not a fan of the message, it's tired. Asked them to change the track, wouldn't do it... Eminem is one of the best rappers of all time , there is no doubt. I have and will respect that. Tho, this is not the time to criticize Youth, it's the time to listen. To act. It is certainly not the time for slurs. Wish they would have listened when we asked them to change it." Eminem later expressed regret at using the slur in the song, telling radio host Sway in an interview, "I think the word that I called him on that song was one of the things where I felt like this might be too far. Because in my quest to hurt him, I realise that I was hurting a lot of other people by saying it… It was one of the things that I kept going back to and going, 'I don't feel right with this.'" Manson and Reznor backstage at The Jon Stewart Show in 1995, New York City. Reznor and Marilyn Manson's friendship and professional relationship goes back to the 1990s. Reznor produced Marilyn Manson's first album, 1994's Portrait of an American Family, and also worked on Smells Like Children (1995) and Antichrist Superstar (1996). Furthermore, Nine Inch Nails booked Marilyn Manson as the support act on the main leg of their Self Destruct Tour in 1994, promoting second album The Downward Spiral. By 2009, the relationship had turned sour, with Reznor saying the following in Mojo magazine (via Rolling Stone). "He is a malicious guy and will step on anybody's face to succeed and cross any line of decency. Seeing him now, drugs and alcohol now rule his life and he's become a dopey clown." Interestingly, Reznor's diss seemed to come from a place of concern. He added: "During the Spiral tour we propped them up to get our audience turned on to them and at that time a lot of the people in my circle were pretty far down the road as alcoholics. Not Manson. His drive for success and self-preservation was so high." Reznor suggested he was partly responsible for the falling out - "I'm not blameless" - but concluded: "He used to be the smartest guy in the room. And as a fan of his talents, I hope he gets his s*** together." By 2017, however, Manson revealed that the two had patched up their differences and were hoping to work together again, as Consequence of Sound reported.